Actor-politician Kamal Haasan on Wednesday said his party Makkal Needhi Maiam was ready to face the bypolls for 20 assembly constituencies in Tamil Nadu whenever they were held. “At this point of time, we can say bypolls may be conducted. I do not know whether it will be held definitely. Suppose, if it is conducted, Makkal Needhi Maiam is ready to face it”, he said. 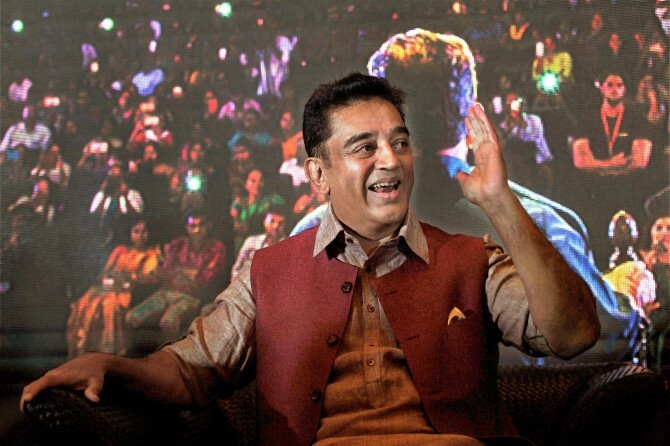 Haasan was addressing reporters on the occasion of his 64th birthday. Bypolls are due in the 20 constituencies, which have fallen vacant following the Madras high court last month upholding the disqualification of the 18 All India Anna Dravida Munnetra Kazhagam MLAs who back Amma Makkal Munnetra Kazhagam leader TTV Dhinakaran and in view of demise of two sitting members, including DMK patriarch M Karunanidhi. Answering a question, Haasan said his basic objective was to facilitate healthy politics. “When you say healthy politics, it also holds the meaning of being scam free. If we do healthy politics, everyone can strongly hope that all sectors will see growth”, he said. The popular actor said, “I do not make any promises wherever I go. But, I receive it from them (people) instead. They all unanimously promised me that they made a mistake by accepting money for vote and that they will not do that again. I hope they will fulfill it”, he said. He dismissed the allegation of local Congress leader ‘Karate’ Thiagarajan that his party was acting like a “mouth piece” of the Bharatiya Janata Party. What is Kamal offering Tamil Nadu?